Happy Mystery Dish Friday! Today I have some AMAZING muffins to share with you. They are seriously some of the coolest muffins I have ever made [and from this muffin addicted girl, that’s saying a lot]. But how can you not agree?! They have KIWI on top. So fun, so tropical, so green. Spring, please come soon! This month for Mystery Dish, Kat from I Want Crazy was in charge. When our original founder, Dani, who has since left blogging due to family, was trying to organize the group, I suggested she ask Kat to join. 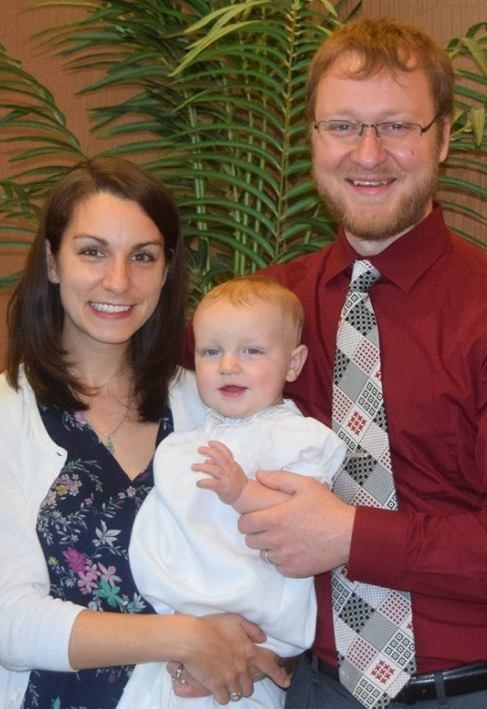 I knew Kat from church [we were still living in Indiana then] and she had recently started blogging. 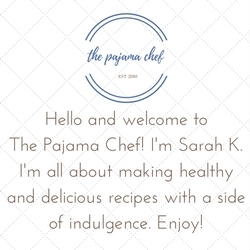 She joined and the rest is history… errr, the rest being that this month she chose our fun ingredients [including the aforementioned kiwi] to be: boxed cake mix, Peeps, oats, ginger, honey, wine, shallots, coconut, shrimp, cherry tomatoes, kiwi, dried fruit, and cinnamon. Some of those ingredients I looove [COCONUT] and others I hate [Peeps. With a passion.] so the choice was pretty simple. 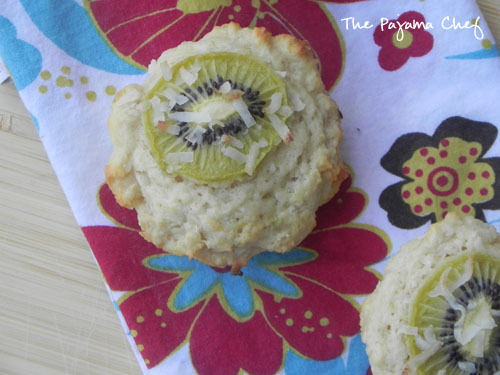 I pinned these Tropical Kiwi Fruit Muffins months and months ago, and now I finally had an excuse to make them. They are a tropical delight! 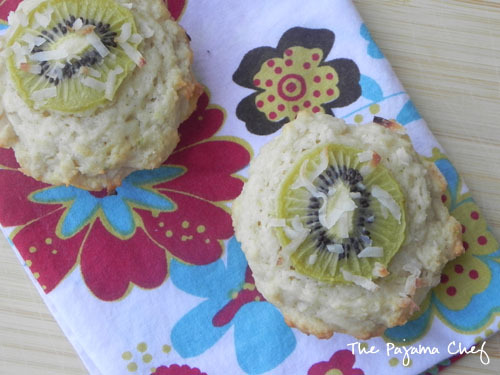 Basically, you make a soft coconut muffin and top it with a slice of kiwi fruit and a smattering of coconut flakes. The coconut on top gets all golden and toasty, though in an ideal world I’d like it to be toastier [but didn’t want to toughen up the muffins]. I added a touch of ginger to the muffin batter, both to satisfy Kat’s request for us to use three ingredients AND because I just thought it sounded wonderful. And they turned out wonderful, if I do say so myself. Lime, ginger, and coconut go so well together in these fun muffins, and the kiwi is the cherry on top. 🙂 A bit o’ color and flavor if you will. These muffins were perfect for a rainy/snowy week. Hope you enjoy, and that you check out some of the other recipes this month for Mystery Dish! Preheat oven to 400 degrees F. Prepare muffin tin with paper liners or coat with cooking spray. In a large bowl, whisk together flour, sugar, shredded coconut, lime zest, and ground ginger. Make a well in the center. In a separate bowl, whisk together coconut oil, buttermilk, and egg. Pour into the well then stir until just combined. 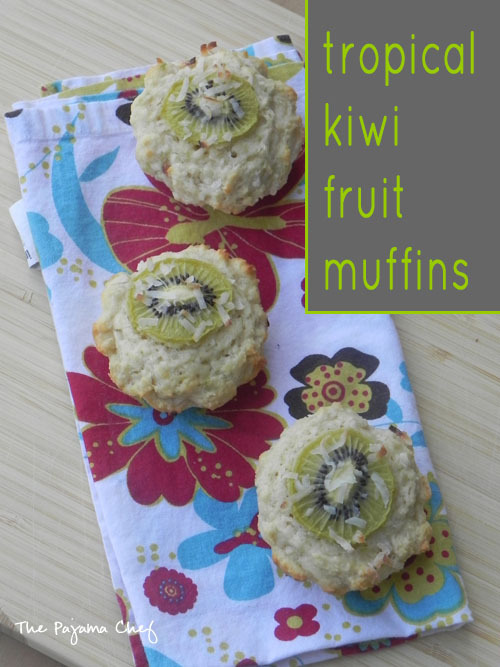 Spoon into prepared muffin tin, then top with a slice of kiwi and some shredded coconut. Bake for 20 minutes, or until a toothpick inserted in the center comes out clean. Eat or freeze within three days. Wow, the kiwi looks amazing on top of these muffins!! I have never baked with kiwi before, but I love it! These sound delicious! I’ve never really baked with kiwi before! Love the idea of a tropical muffin! I’m totally obsessed with muffins too – I WILL be making these!! How cool is that kiwi on top?! These are gorgeous. Another successful Mystery Dish!! I must give you major props. I would’ve run from these had I seen them on Pinterest. I would’ve thought the kiwi went in the muffin, and that doesn’t sound right because it’s too watery. Glad you showed me the light, because these look fun! 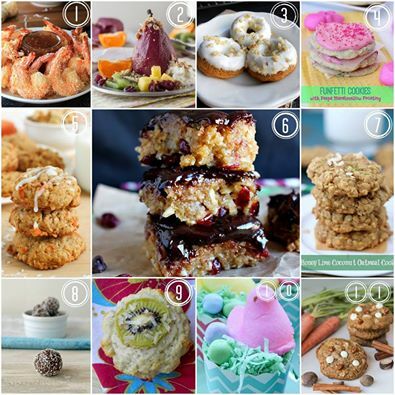 From one muffin lover to another, these do sound pretty fabulous. And I hate Peeps too! They are making flavored ones now and i tried the Party Cake kind and they are loads better but I’d never buy them again. I just don’t get Peeps or why they even exist – lol. party cake peeps? whoa. guess everything is headed in the funfetti-type direction, or at least that’s what i think of when i hear party cake. I’m actually allergic to kiwis! Sigh. But I love them. And can tell that they would be great in these muffins! I love the sound of a tropical muffin! And with the kiwis and coconut they sound delicious! And I totally hate Peeps too – they really really gross me out! OMGosh this is the first thing I’m making tomorrow morning. I love coconut anything but coconut and ginger? Amazing! I love the kiwi on too too. Ok so I’m just going to make it and enjoy! Thanks for the delicious recipe. Great use of the ingredients. These muffins look awesome and are just screaming “SPRING” and warm weather to me! Loving the feeling of happiness they give! Ooh, these sound SO wonderful! What a neat combination of flavors!